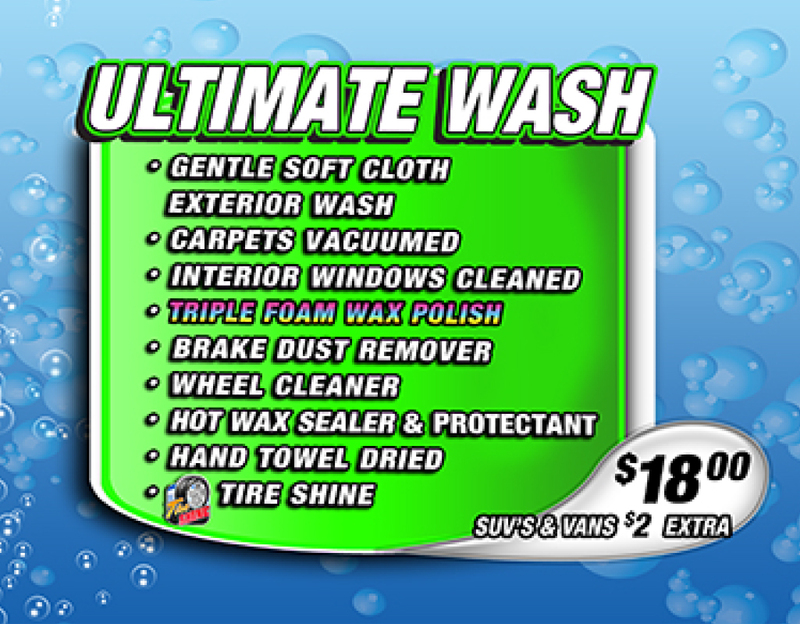 Bert's gentle soft cloth exterior wash, carpets vacuumed, interior windows cleaned, Triple Foam Wax Polish, Brake Dust Remover, Wheel Cleaner, Hot wax sealer & protectant, hand towel dried, and protectant ARMOR ALL tires. 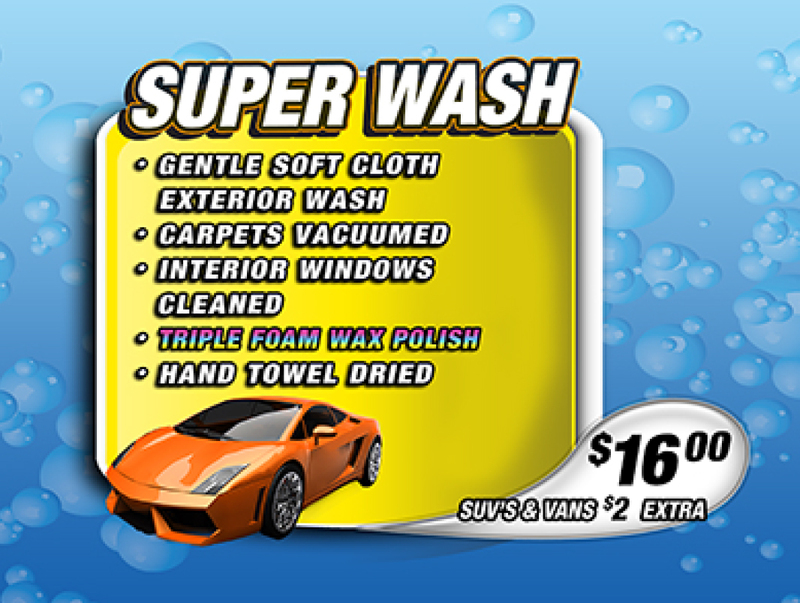 Bert's gentle soft cloth exterior wash, carpets vacuumed, interior windows cleaned, Triple Foam Wax Polish, and hand towel dried. 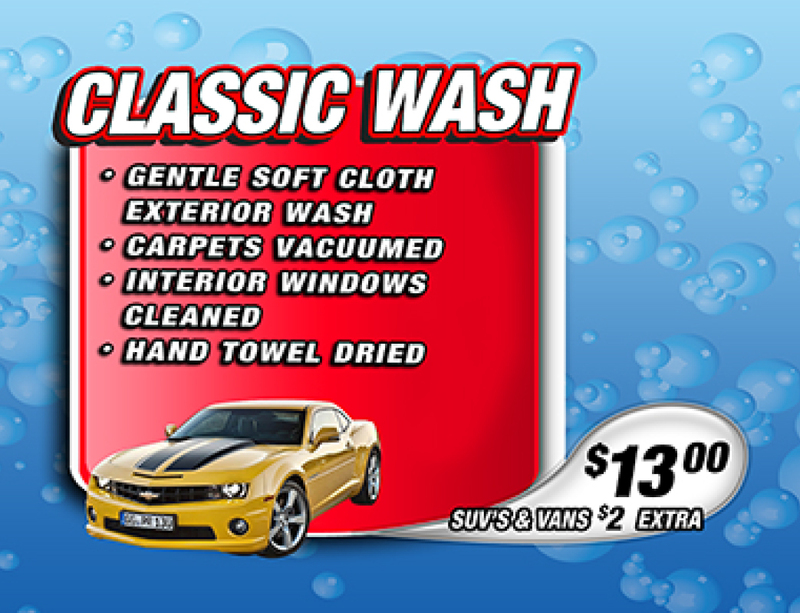 Bert's gentle soft cloth exterior wash, carpets vacuumed, interior windows cleaned, and hand towel dried. 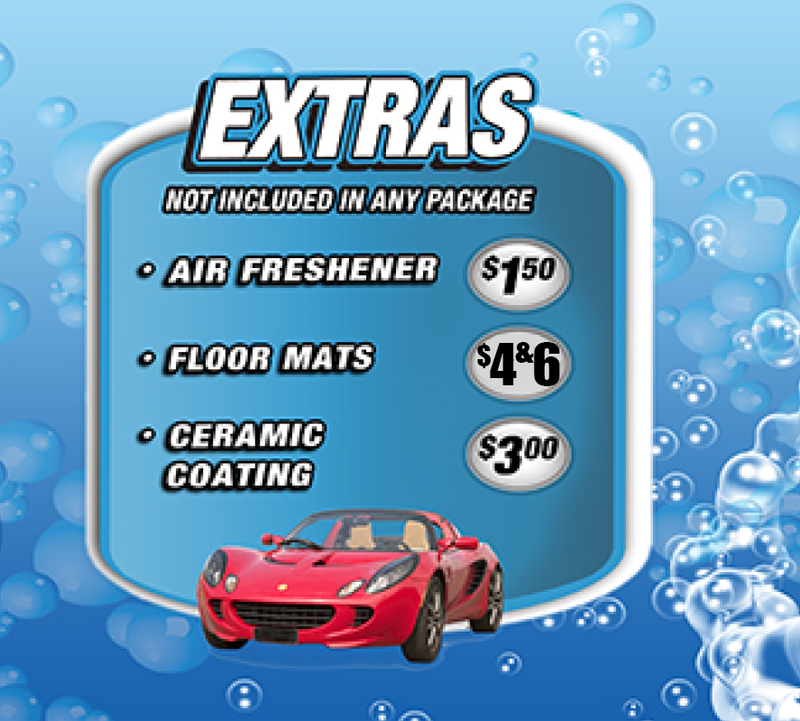 Superior foam wax additives applied to car then gently worked in with soft cloth curtains. Hot sealex wax and protectant applied to car to help preserve finish. Helps revitalize old paint. Special solvent applied to wheels, hubcaps, aluminum & mag wheels cleaned to a sparkle with brake dust remover. Floor mats removed and washed. Limit 4 mats. A highly concentrated air fragrance sprayed in the interior of the car. ARMOR ALL Protectant applied to tires protects and beautifies.